It's water week over on the GCD Studios blog, and today I have this fun layout to share. I knew I wanted to use the color blue since after all, this is about water, but with the bright pink pool and the turquoise & green bathing suit, I needed to throw in those colors too! Although all four of the papers have completely different patterns, they all have the perfect color scheme for my photo which instantly draws them together. I added some very simple machine stitching, and a few arrows/triangles that are a big trend in scrapbooking right now, along with a sticker title and handwritten date. A quick and easy layout, but a memory recorded. Great use of the colors Mary Ann, and I love them on the kraft background!! 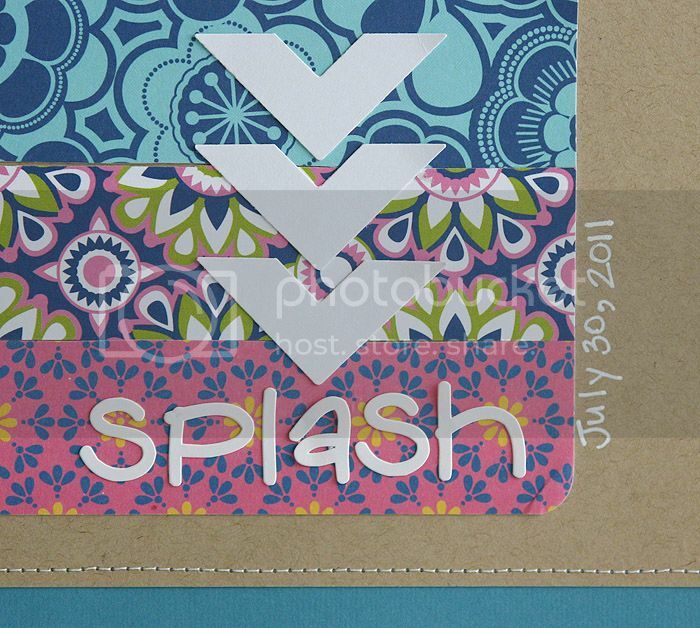 Love the arrow pattern to...really pops in the white cardstock! I love this! Super cute layout! I love how the picture works so well with the papers you used. Darling layout! I especialy like the colors!